How long can you use it before the phone get too hot? I am using my LG G3 and after about 20 min or less the phone get really hot and a message pops out that says its too hot. 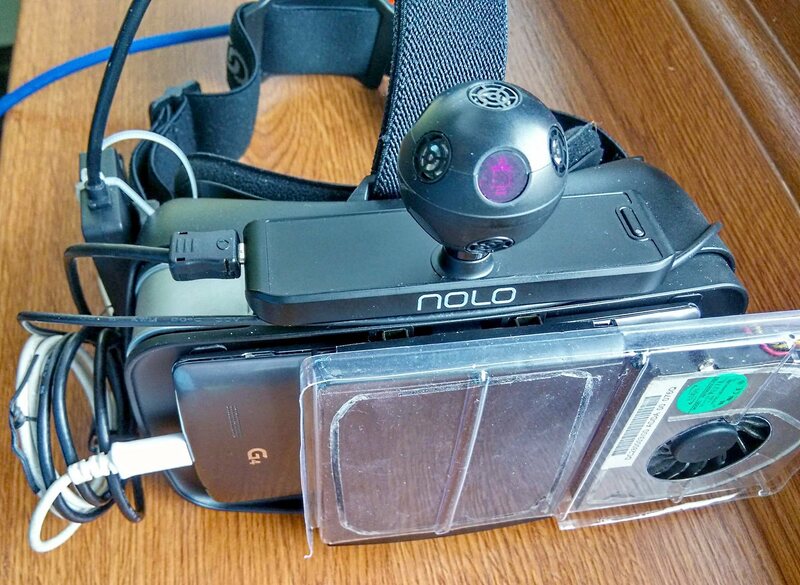 so how long does your phone allows you to use nolo vr? and does anybody uses LG G6? -maybe try a lower mbps on VRidge? I have LG G4 and i have the same, about 20min and goes too hot and turn off. My solution was easy: i was add a fan from old laptop on the 5V and stabilized by lm1117 1.8V. look great do you make the wind go twards your phone or take the heat out? USB tethering is working greate on highest settings in riftcat (2k, 60fps, 23Mbps). My turbine throws air on the phone back and there is small gap between phone back and headset mount so air goes even to usb plug direction. I'm using an s8. It gets kinda hot but not bad. Guess the Note 7 debacle got them working hard on making a phone that stays quite cool. Also the new gear vr is completely opened. Samsung Galaxy S7. I just went into airplane mode with wifi enabled seems to fix most of my overheating issue. Samsung S7 with GearVR, airplane with wifi enabled and no problems so far (played about 2 hours). I think the key is definitely the airplane mode / turning off any 3G/4G data. It's surprising how much that can heat a phone up!